The Dean Vendetta XMT Electric Guitar undeniably is crafted from components and features beyond what you expect from instruments in this price range. The Vendetta XMT features a double cutaway Vendetta style body made of Paulownia wood with a bolt-on maple neck. 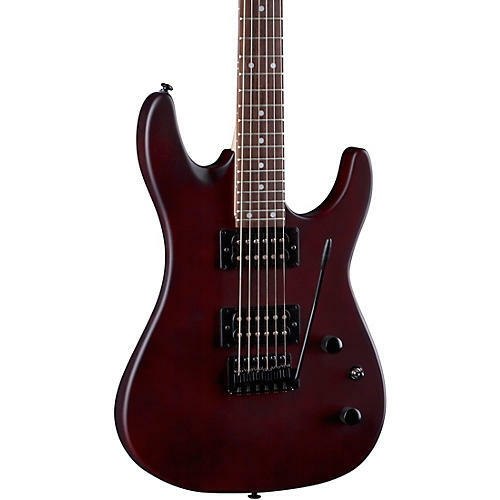 The 25-1/2" scale maple neck is topped with a 24-fret rosewood fretboard. Dual Dean humbucking pickups pump out plenty volume with all the great tones you'll need. The electric guitar's Vintage Tremolo bridge lets you have tons of fun producing cool rock effects.